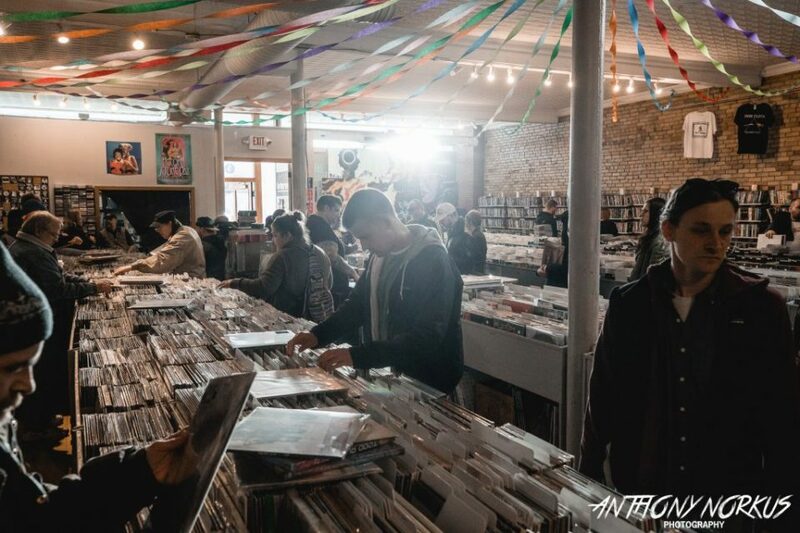 Check out a recap, photos and video of Saturday’s upbeat Record Store Day celebration at indie shops which hosted live music, DJs and more. 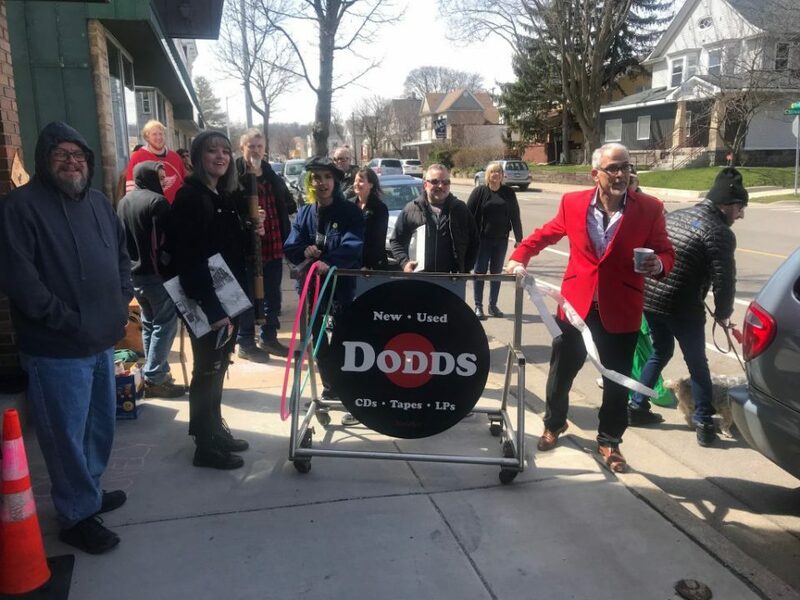 Record Store Day in West Michigan was all about vinyl – and live music and DJs, and yes, even a parade. 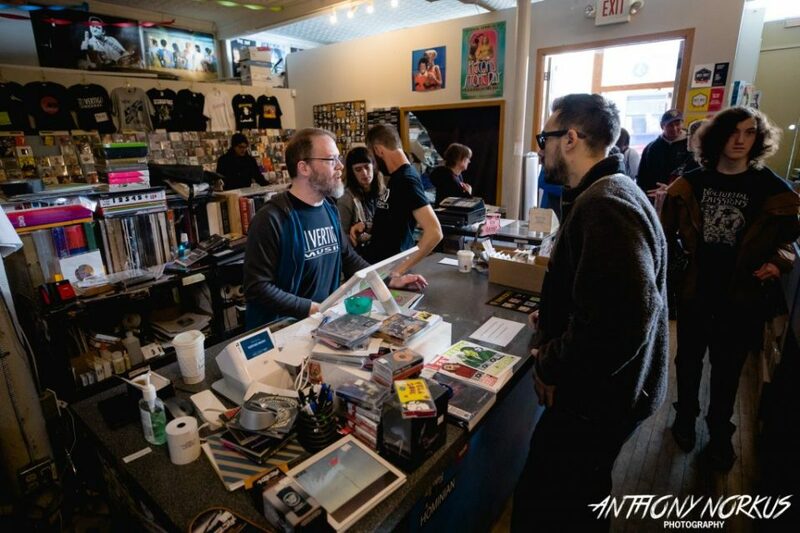 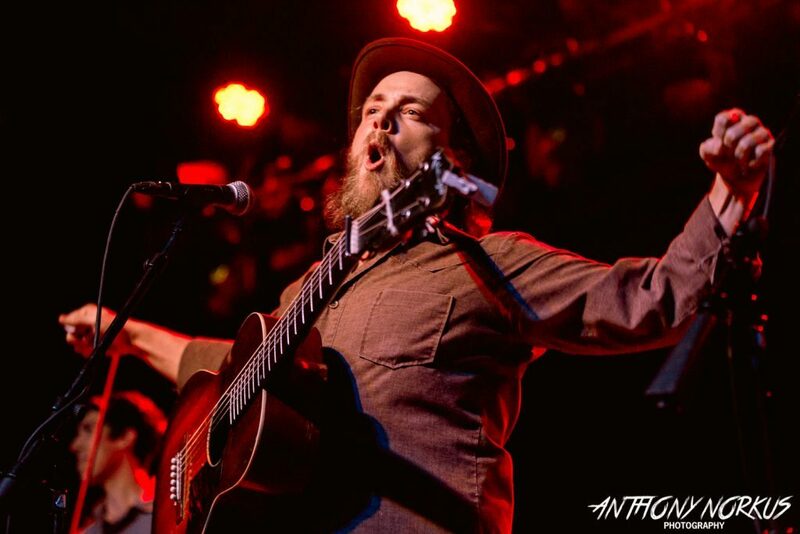 Saturday’s sunny but breezy weather brought out long lines of music devotees from Grand Rapids to Grandville to the lakeshore to Kalamazoo for special releases and a wide assortment of entertainment to celebrate the power of independent record shops. 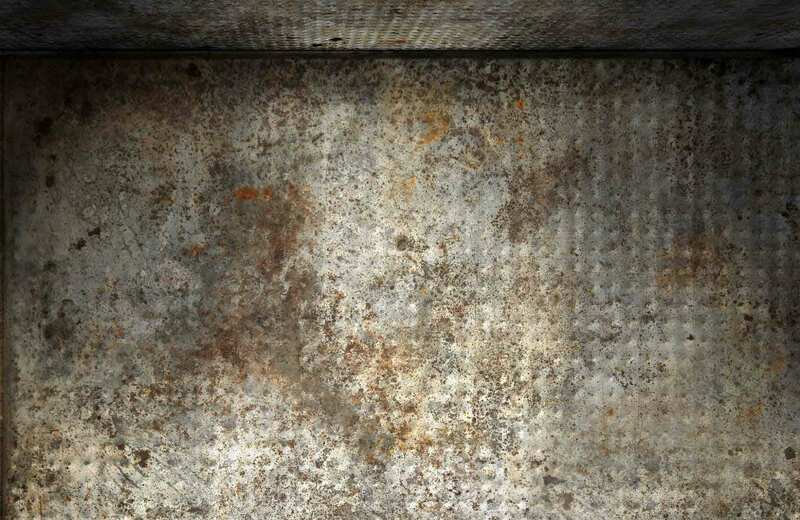 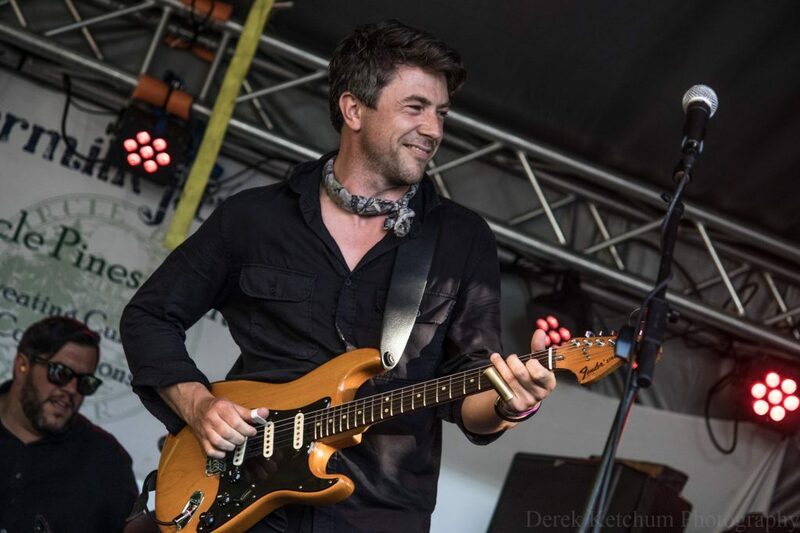 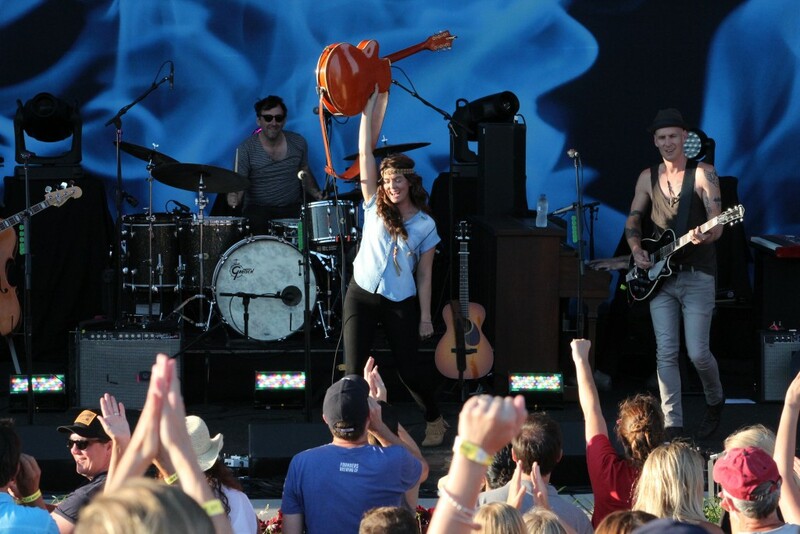 “It’s a lot of fun. 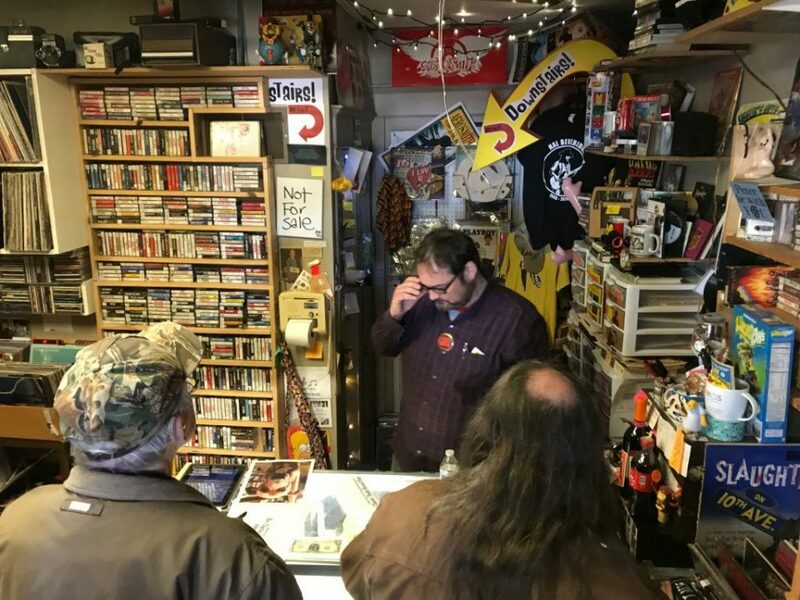 It gets bigger every year,” said Luke, a cashier at Grandville’s Corner Record Shop who’s worked at the store for eight years. 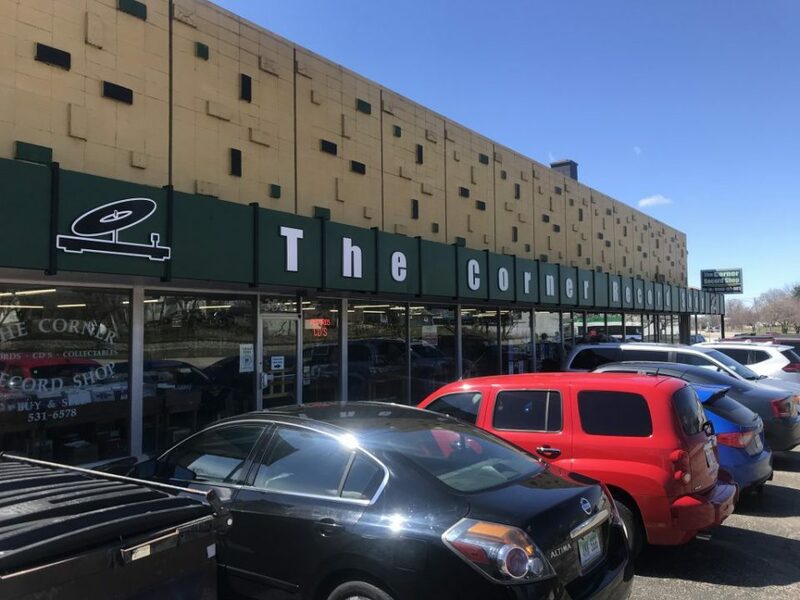 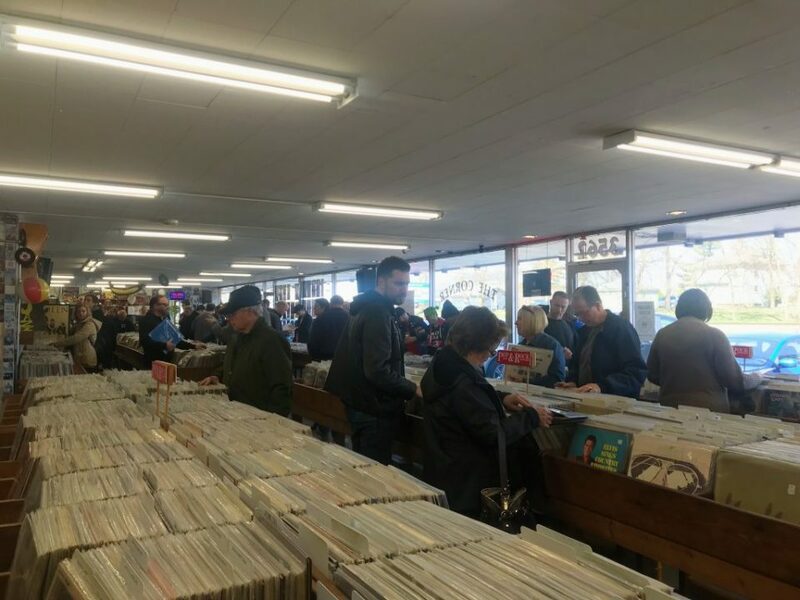 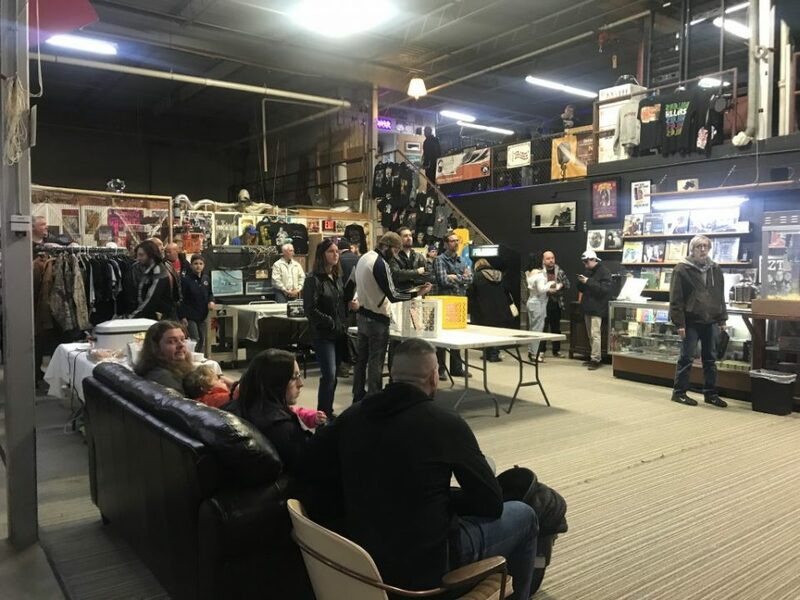 The store certainly was jam-packed on Saturday with browsers of vinyl and more, with band performances by Stellar, GR Groove, Tanner J Burns, Code West, Feeding Grizzlies and Shade 55. 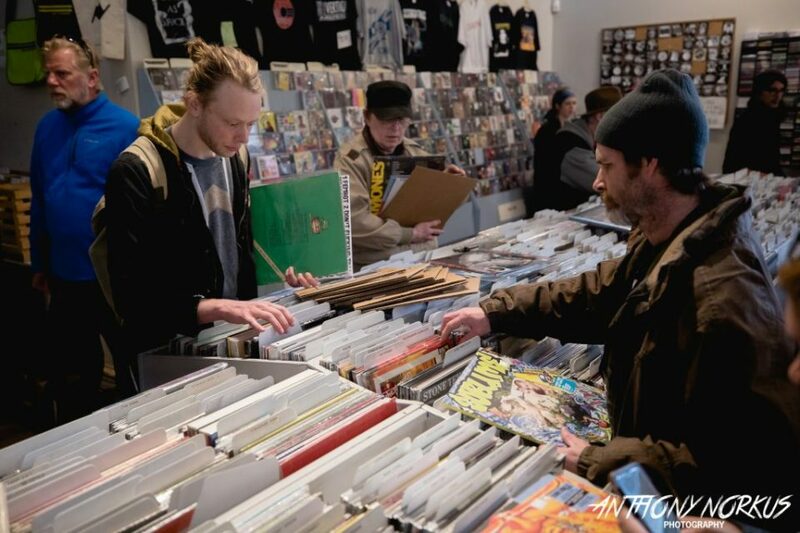 It was just one example of the vinyl revolution that’s attracting disciples young and old. 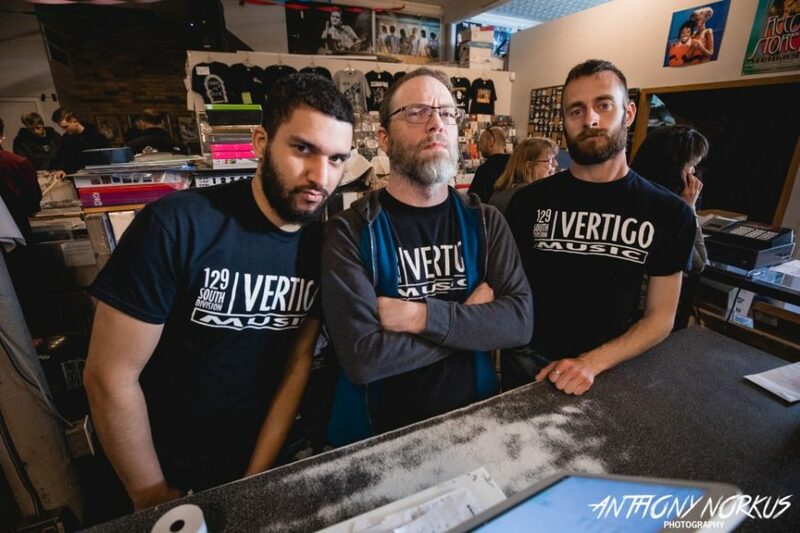 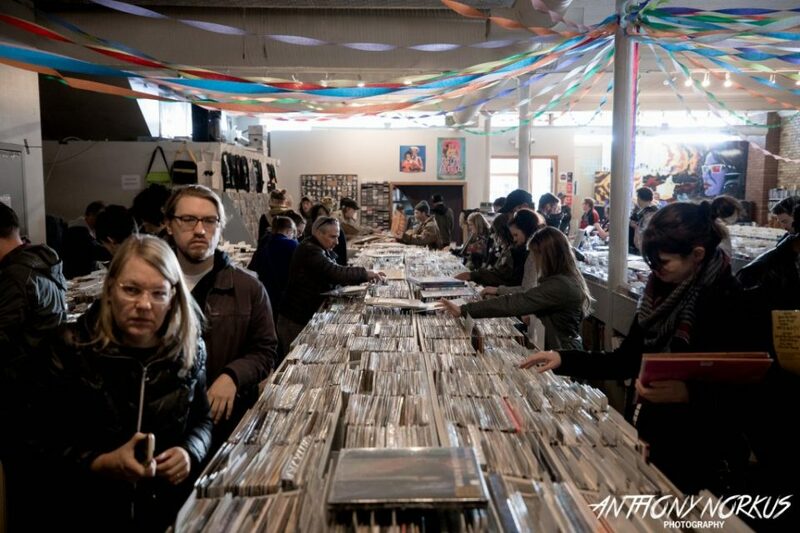 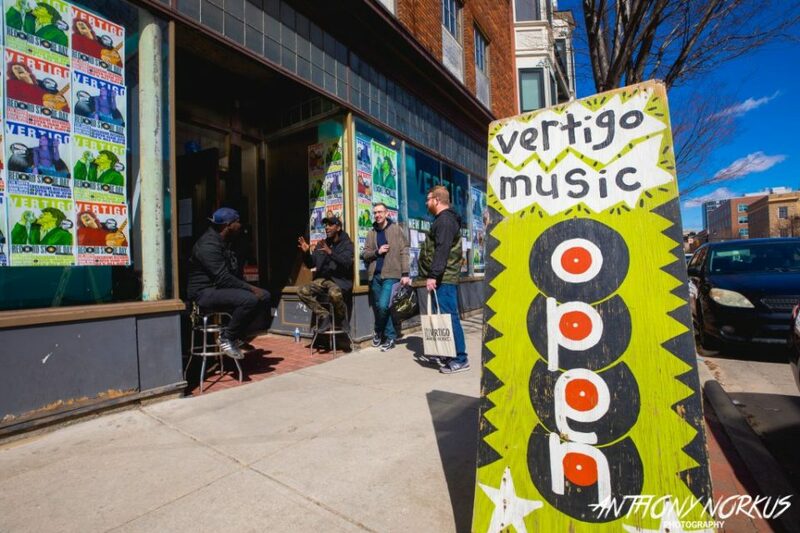 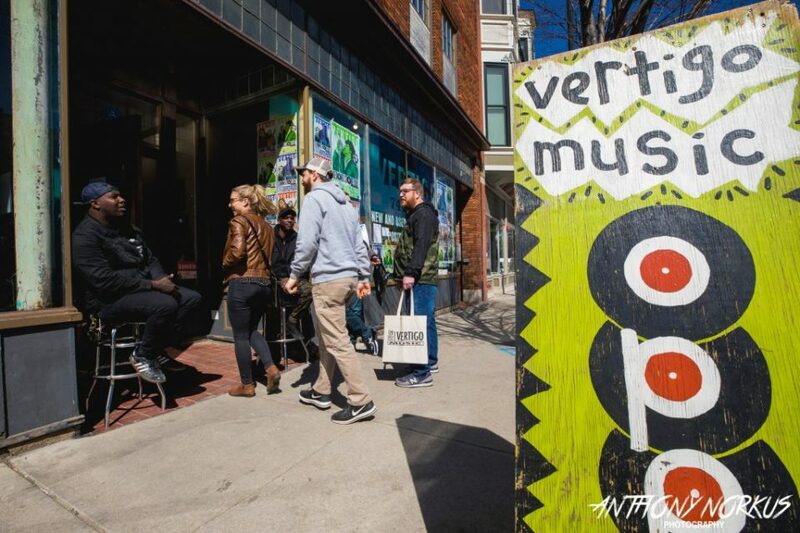 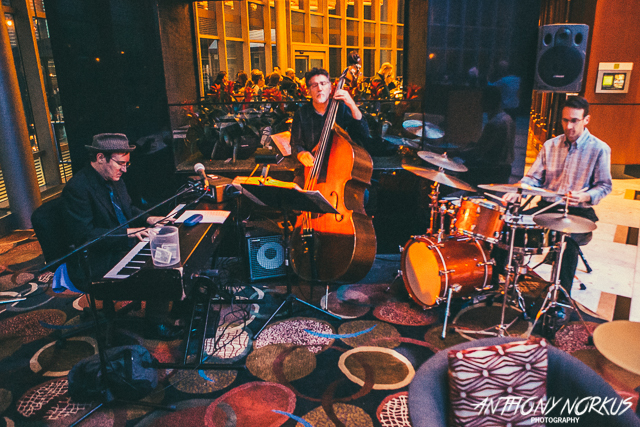 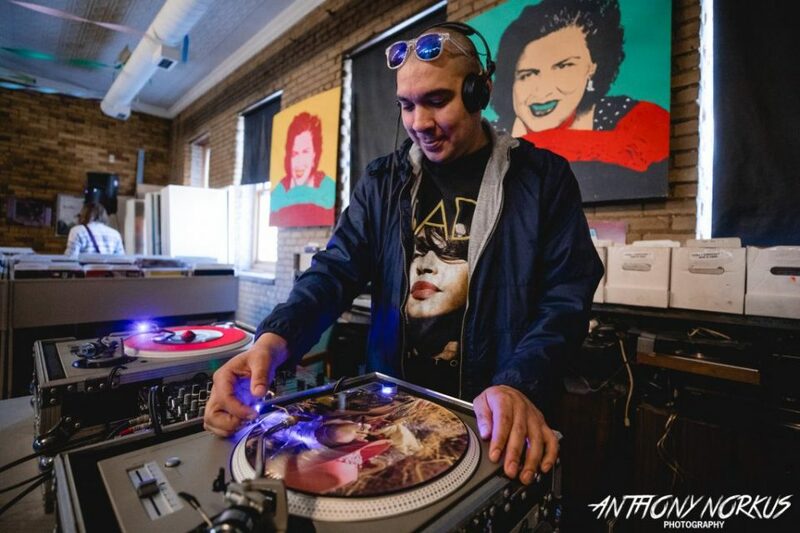 The scene was much the same at Grand Rapids’ Vertigo Music, which showcased DJs throughout the day as shoppers browsed bins of vinyl and CDs, and enjoyed refreshments and pizza. 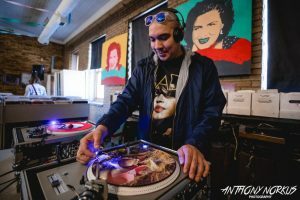 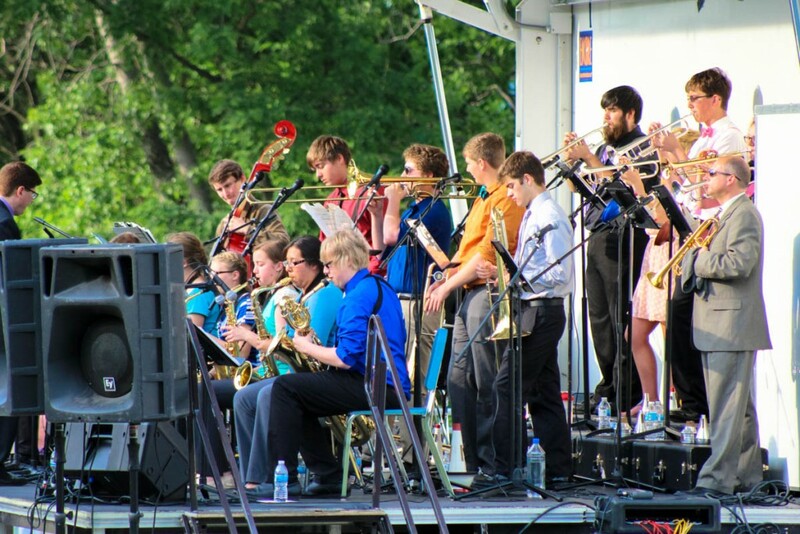 Throughout the day, it was an all-ages affair, with a mix of baby boomers, teens and 20-somethings. 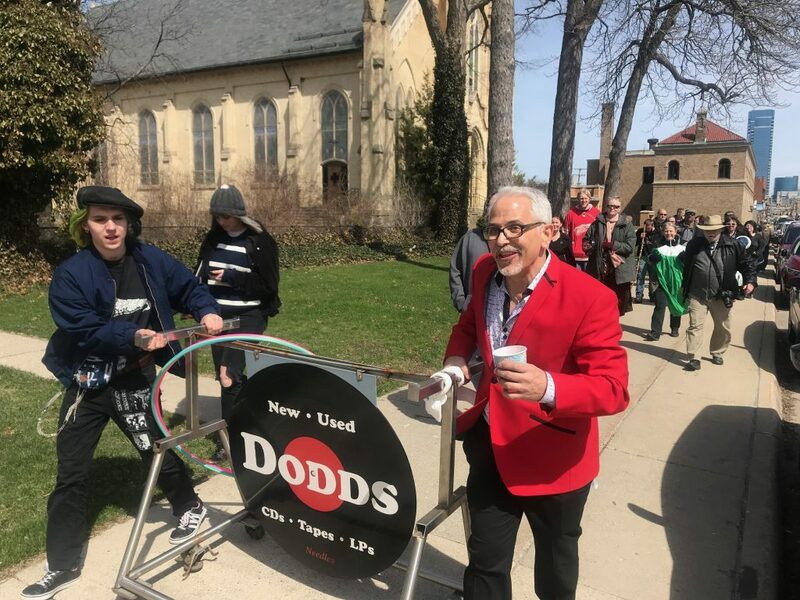 And of course, Grand Rapids’ Record Store Day celebration wouldn’t be complete without a mid-afternoon parade on Bridge Street led by uber-enthusiastic grand marshal and vinyl champion the Rev. 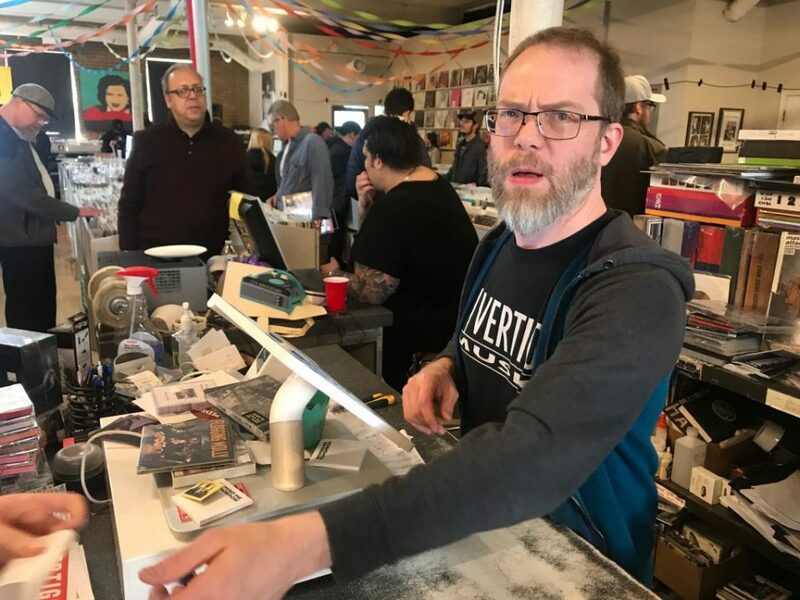 Charles Preston Smith, whose tiny Dodds Record Shop was overrun with shoppers Saturday. 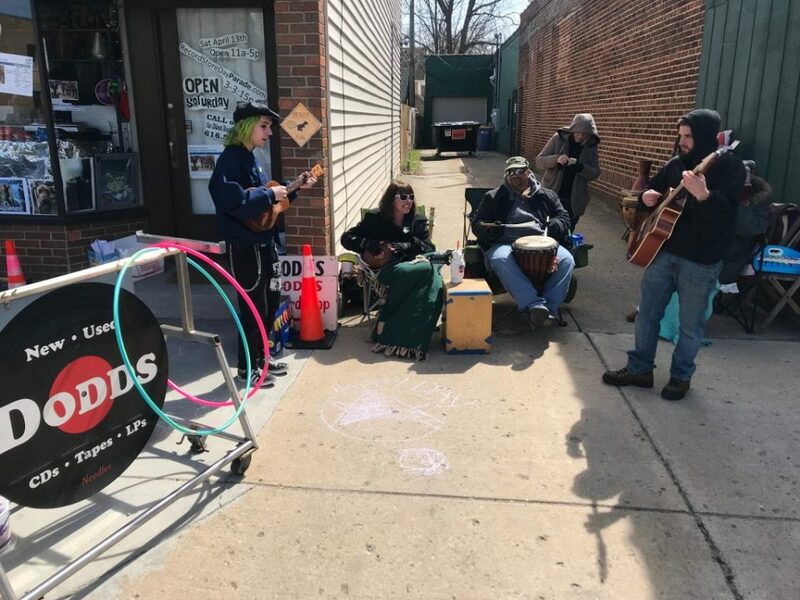 Featuring about 20 ebullient marchers and a dog, the short parade took to the sidewalks for about two blocks up and down Bridge Street before ending in front of the store, which also featured performances by Beaver Xing and friends as well as DJ Tom Shannon. 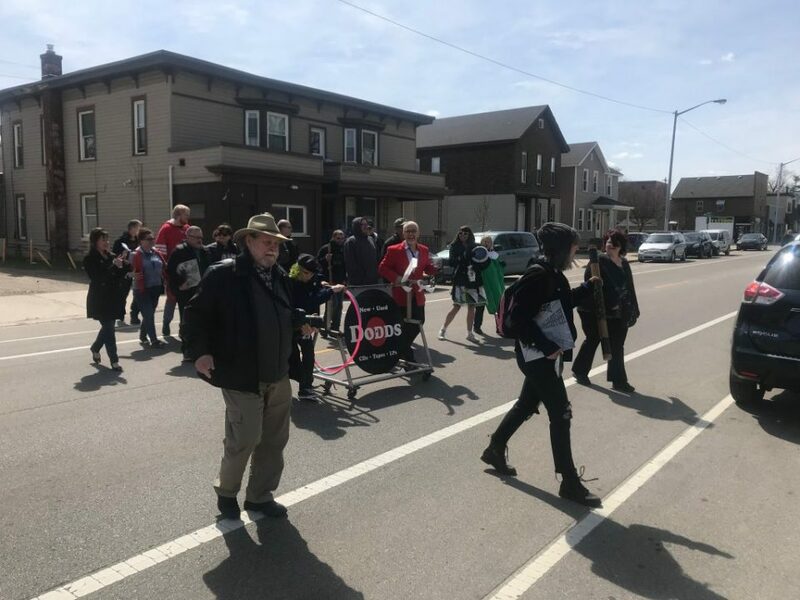 And nary a patrol car was seen.